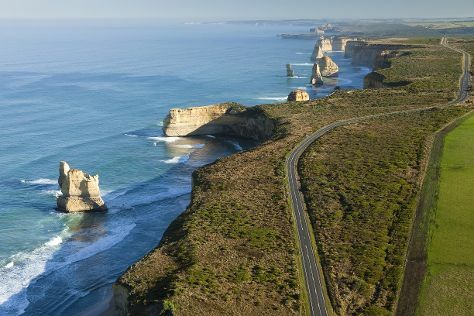 Head to Bairnsdale at any time of year to discover a busy regional centre from which to explore the vast Gippsland Lakes and spectacular Ninety Mile Beach, or the alpine highlights of Omeo, Dinner Plain and Mount Hotham. Start off your visit on the 27th (Wed): examine the collection at Krowathunkooloong Keeping Place. Keep things going the next day: kick back and relax at Lakes Entrance Beach, then Head underground at Buchan Caves, and then take in the architecture and atmosphere at St Mary's Catholic Church. To find more things to do, where to stay, other places to visit, and other tourist information, refer to the Bairnsdale trip itinerary tool . Sydney to Bairnsdale is an approximately 8-hour car ride. Plan for little chillier nights when traveling from Sydney in February since evenings lows in Bairnsdale dip to 15°C. Cap off your sightseeing on the 1st (Fri) early enough to travel to Balook. We've included these beaches for you: Reeeves Beach and Little Waterloo Bay. Step off the beaten path and head to Wilsons Promontory National Park and Woodside Beach. Change things up with these side-trips from Balook: Alberton Cemetery (in Alberton) and Wilsons Promontory National Park (Squeaky Beach & Picnic Bay). To see other places to visit, photos, reviews, and other tourist information, go to the Balook trip itinerary maker website . You can drive from Bairnsdale to Balook in 2 hours. In March, daytime highs in Balook are 28°C, while nighttime lows are 14°C. Finish your sightseeing early on the 5th (Tue) to allow enough time to travel to Beech Forest. On the 6th (Wed), tour the pleasant surroundings at Otway Fly Treetop Adventures, then admire the sheer force of Stevensons Falls, and then take in the dramatic scenery at Erskine Falls. Get ready for a full day of sightseeing on the next day: delve into the lush surroundings at Lorne Beach. To find maps, where to stay, photos, and tourist information, refer to the Beech Forest online travel route planner . Traveling by car from Balook to Beech Forest takes 4.5 hours. Cap off your sightseeing on the 7th (Thu) early enough to travel to Port Campbell. Port Campbell is a coastal town in Victoria, Australia. You'll explore the less-touristy side of things at London Bridge and Tower Hill Wildlife Reserve. Take a break from the city and head to Loch Ard Gorge and Childer's Cove. Take a break from Port Campbell with a short trip to Flagstaff Hill Maritime Village in Warrnambool, about 1h 05 min away. Spend the 8th (Fri) exploring nature at Port Campbell National Park. There's still lots to do: explore the activities along Bay of Islands and make a trip to The Grotto. For where to stay, maps, traveler tips, and more tourist information, go to the Port Campbell sightseeing planner . Getting from Beech Forest to Port Campbell by car takes about 1.5 hours. Finish your sightseeing early on the 10th (Sun) so you can drive to Halls Gap. Discover out-of-the-way places like The Pinnacle and J Ward Museum Complex. Escape the urban bustle at Grampians National Park and MacKenzie Falls. 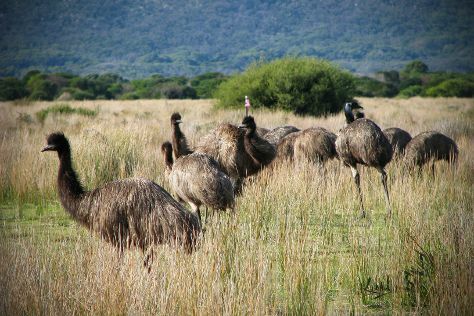 Next up on the itinerary: meet the residents at Halls Gap Zoo, identify plant and animal life at Chatauqua Peak, and play a few rounds at Grampians Adventure Golf. To see traveler tips, other places to visit, and more tourist information, use the Halls Gap planning tool . Drive from Port Campbell to Halls Gap in 3 hours. Alternatively, you can take a bus. Finish your sightseeing early on the 13th (Wed) so you can drive to Ballarat. Start off your visit on the 14th (Thu): identify plant and animal life at Ballarat Wildlife Park, then browse the exhibits of Art Gallery of Ballarat, and then look for all kinds of wild species at Lake Wendouree. On the 15th (Fri), you'll have a packed day of sightseeing: contemplate the long history of Sovereign Hill and then explore the activities along Lake Daylesford. To find where to stay, other places to visit, photos, and other tourist information, read our Ballarat driving holiday planner . Drive from Halls Gap to Ballarat in 2 hours. Alternatively, you can do a combination of bus and train; or take a bus. In March, plan for daily highs up to 28°C, and evening lows to 15°C. Finish your sightseeing early on the 15th (Fri) so you can drive to Bendigo. Eschew the tourist crowds and head to Bendigo Art Gallery and Golden Dragon Museum. Take a break from the city and head to Castlemaine Diggings National Heritage Park and Lake Weeroona. Go for a jaunt from Bendigo to Dunolly to see Dunolly Museum about 1h 05 min away. And it doesn't end there: admire all the interesting features of Rosalind Park, pause for some serene contemplation at St Kilian's Church, and admire the landmark architecture of Eaglehawk Log Lock Up. To find ratings, other places to visit, where to stay, and tourist information, refer to the Bendigo trip maker site . You can drive from Ballarat to Bendigo in 1.5 hours. Alternatively, you can take a bus; or take a train. Wrap up your sightseeing on the 18th (Mon) early enough to drive to Echuca. Echuca is a town located on the banks of the Murray River and Campaspe River in Victoria, Australia. On the 19th (Tue), examine the collection at National Holden Motor Museum : Echuca, go for a stroll along the water at Port of Echuca Discovery Centre, then do a tasting at St. Anne's Winery, and finally examine the collection at The Great Aussie Beer Shed. To find ratings, reviews, more things to do, and more tourist information, use the Echuca sightseeing planner . You can drive from Bendigo to Echuca in 1.5 hours. Other options are to take a bus; or take a train. Finish up your sightseeing early on the 19th (Tue) so you can go by car to Melbourne. Get a sense of the local culture at Shrine of Remembrance and St Paul's Cathedral. 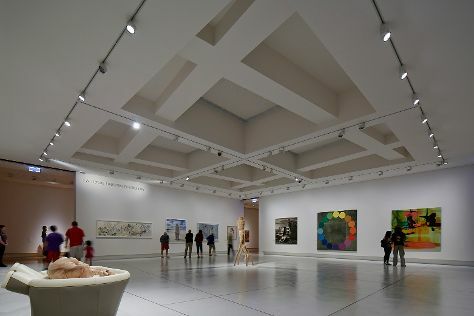 Museum-lovers will get to explore Melbourne Museum and ArtVo. 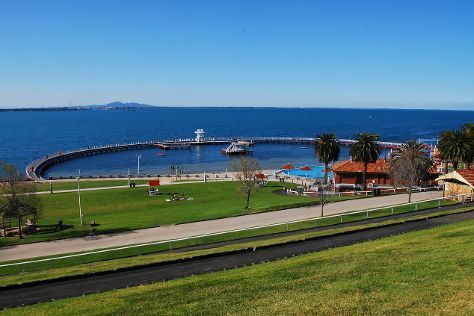 Step out of Melbourne to go to Geelong and see Eastern Beach Reserve, which is approximately 1h 20 min away. There's still lots to do: explore the world behind art at National Gallery of Victoria, take in the architecture and atmosphere at Scots Church, contemplate the long history of Old Melbourne Gaol, and take in panoramic vistas at Eureka Skydeck 88. To see photos, ratings, and more tourist information, read our Melbourne trip itinerary maker website . Drive from Echuca to Melbourne in 3 hours. Alternatively, you can take a bus; or take a train. March in Melbourne sees daily highs of 30°C and lows of 15°C at night. Cap off your sightseeing on the 22nd (Fri) early enough to travel back home.